CR / Library / Prince of Tennis Live Action. / Forum / Did YOu KNOw?! Forums Creative Enthusiasts' Corner Prince of Tennis Live Action. Yuu Shirota (城田 優), born 26 December 1985, is a Japanese-Spanish actor and singer. He is known most notably for his role as Kunimitsu Tezuka in the Prince of Tennis musical series, Tenimyu, and in the live film adaptation, and for his role as Tuxedo Kamen in the Sailor Moon Musicals, also as Kagurazaka Mokoto in live-action drama Hanazakari no Kimitachi e. He was also part of a young men's stage acting troupe, D-Boys, which perform in various skit-like performances, until June 27, 2008, when he announced his graduation during the encore for the D-Stage Volume 2 play. 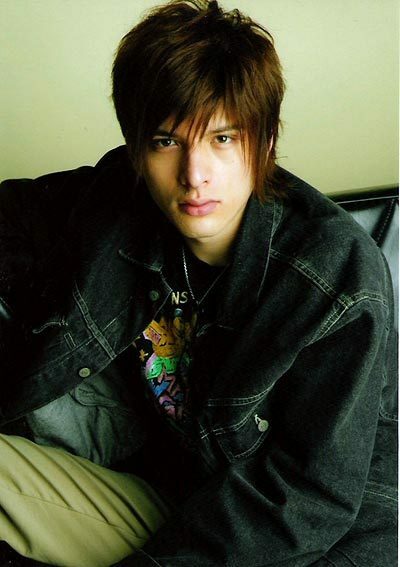 Shirota was born on 26 December 1985 to a Japanese father and a Spanish mother. Shirota lived in Barcelona, Spain since he was three to about seven years, for a total of nearly five years. He returned to Japan for elementary school and can still speak Spanish in ordinary conversation. According to Shirota, when he was little, his family liked to sing songs, so he would borrow his older sister's keyboard, while his mother taught him piano. Thus spawned Shirota's love for composing. He composed his first piece when he was in the fourth grade, titled the "The Tear". From his Prince of Tennis Musical. From 2003 to 2004, Shirota became the 7th actor to play Tuxedo Kamen (Tuxedo Mask) in the Sailor Moon Musicals. His first official performance as Tuxedo Kamen was on 2 January, 2003, in the 2003 Winter Special Mugen Gakuen - Mistress Labyrinth (Kaiteiban). He also demonstrated his ability to play acoustic guitar on stage live, during the Starlights - Ryuusei Densetsu performances. The 2004 New Legend of Kaguya Island was Shirota's last performance as Tuxedo Kamen. That night, on 5 September 2004, after he performed his final rendition of "Prince of Earth", he announced his graduation from the role and received flowers from Hironari Amano who had previously played Tuxedo Kamen in the original 1999 Kaguya Island musical. 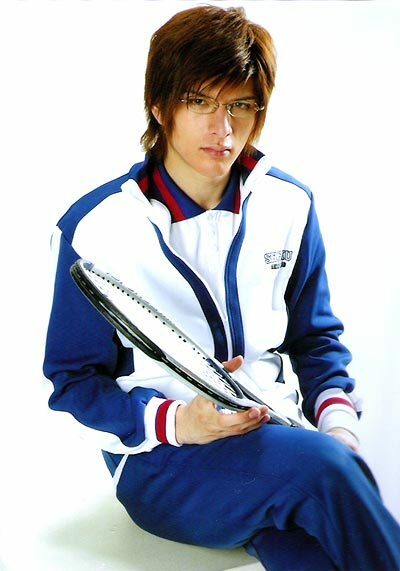 After his role as Tuxedo Kamen, Shirota won the role of Kunimitsu Tezuka, the stoic captain of Seigaku Middle School's tennis club, in The Prince of Tennis musicals series, Tenimyu. 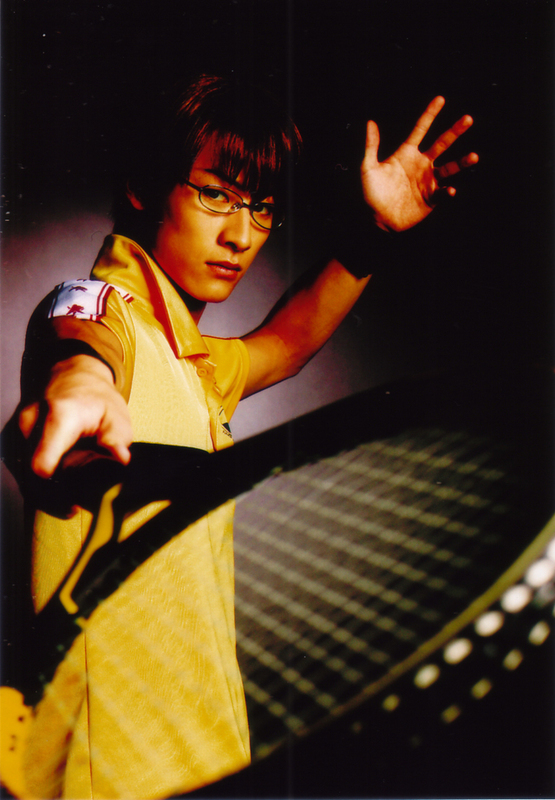 From 2005 to 2006, he became the third actor to play Tezuka as a member of the second generation Seigaku cast. 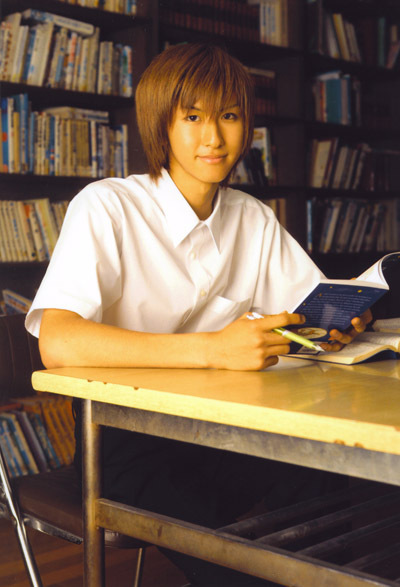 He made his first debut as Tezuka on 8 January 2005 in the Side Yamabuki performance in Osaka. That same year, his role as Tezuka was carried into the live adaptation film of the manga. During his run in the musicals, he was able to work with fellow D-Boys members Yuya Endo, Kotaro Yanagi, Masaki Kaji, Hiroki Suzuki, Hirofumi Araki, Masato Wada, and Osamu Adachi. On 29 March 2006, in the Dream Live 3rd Live concert, he along with the majority of the second generation Seigaku cast, graduated from their roles. Since his graduation, the role of Tezuka has been played by Keisuke Minami and currently by Daisuke Watanabe. Shirota was able to carry on his role from the musicals to the live-adaptation film of the manga series, The Prince of Tennis. Along with most of the principal cast members for the Seigaku Regulars, he was able to reprise his role in the movie. 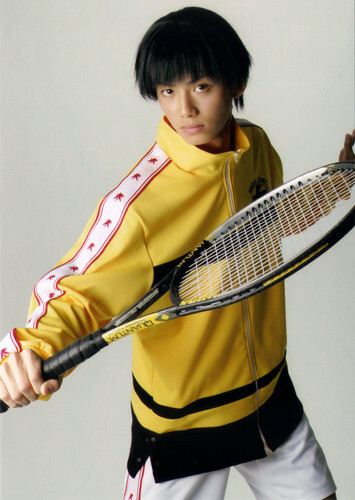 The only major casting change was Kanata Hongo as Ryoma Echizen, the main protagonist. The Prince of Tennis was released on 13 May 2006 and opened on the tenth spot in the Japanese Box Office and marked Shirota's first major film appearance. Hiroki Suzuki (鈴木 裕樹, 3 October 1983 –) is a Japanese actor and singer from Kitakami city, Iwate Prefecture. He is known most notably for his roles as Shuichiro Oishi in The Prince of Tennis (musical series, Tenimyu, live film adaptation), and as Jan Kandou (GekiRed) in the tokusatsu television series, Jyuken Sentai Gekiranger. He is also part of a young men's stage acting troupe, D-Boys, which perform in various skit-like performances. 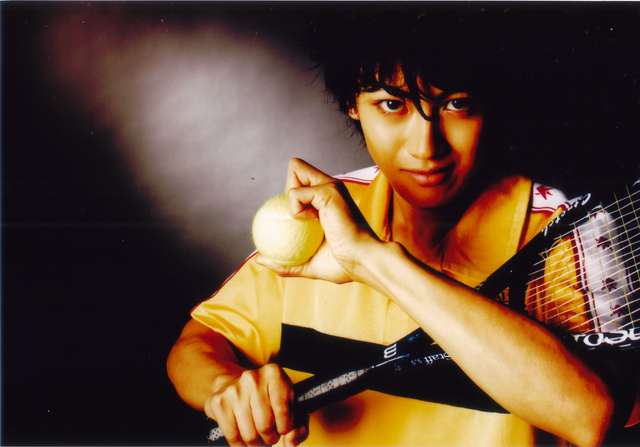 Suzuki won the role of Shuichiro Oishi, the motherly vice-captain regular of Seigaku Middle School's tennis club, in The Prince of Tennis musicals, Tenimyu. 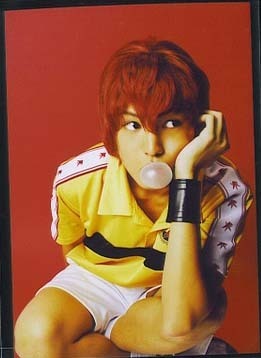 From 2005 to 2006, he became the second actor to play Oishi as part of the second generation Seigaku cast. He made his first debut as Oishi on January 8th, 2005 in the Side Yamabuki performance in Osaka. That same year, his role as Oishi was carried into the live adaptation film of the manga. 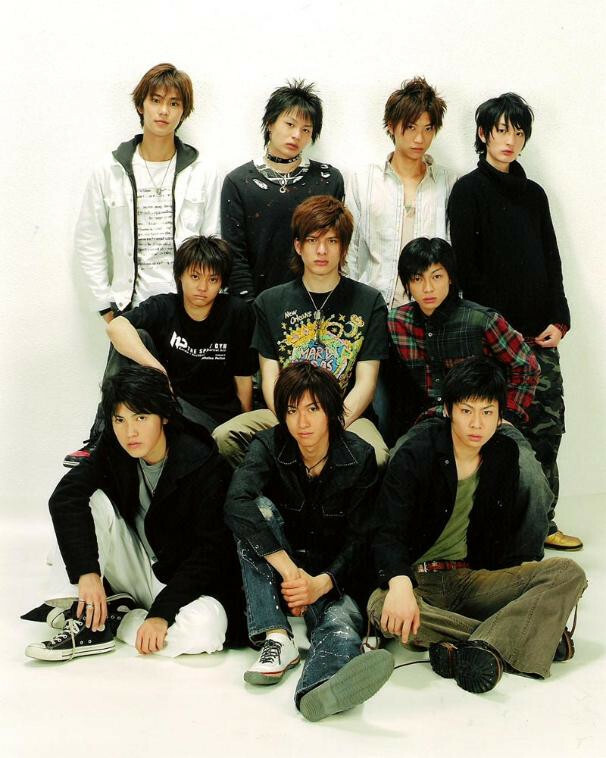 During his run in the musicals, he was able to work with fellow D-Boys members Yuya Endo, Kotaro Yanagi, Masaki Kaji, Osamu Adachi, Hirofumi Araki, Masato Wada, and former member Yuu Shirota. On 29 March 2006, in the Dream Live 3rd concert, Suzuki, along with the majority of the Seigaku cast, graduated from their roles. Since his graduation, the role of Oishi has been played by Yukihiro Takiguchi, and currently by Yuya Toyoda. Suzuki was able to carry on his role from the musicals to the live-adaptation film of the manga series of The Prince of Tennis. He, along with most of the principle cast members for the Seigaku Regulars, were able to reprise their roles in the movie. The only major casting change was the casting of Kanata Hongo as Ryoma Echizen, the main protagonist. The Prince of Tennis was released on May 13th, 2006 and opened on the tenth spot in the Japanese Box Office and marked Suzuki's first appearance in the film industry. * June 2nd to June 4th, 2006 in Limit ~ What Is Your Story? Hiroki Aiba (相葉弘樹) is a Japanese actor, dancer and singer. He is known most notable for his role as Shusuke Fuji in The Prince of Tennis musical series, Tenimyu, and the live film adaptation. He was also part of a young men's 3-member streetdancing group called BRIGHTS, which was disbanded in 2004. In 2005, Aiba won the role of Shusuke Fuji, the prodigy of Seigaku Middle School's tennis club, the The Prince of Tennis musicals, Tenimyu. 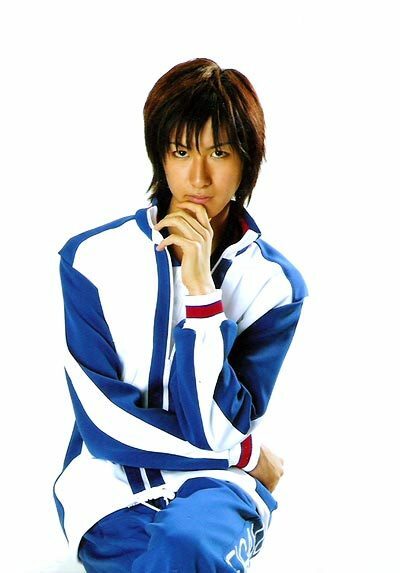 From 2005 to 2006, he became the third actor to play Fuji as a member of the second generation Seigaku cast. He made his debut as Fuji on January 8th, 2005 in the Side Yamabuki performance in Osaka. That same year, his role as Fuji was carried into the live adaptation film of the manga. On March 29th, 2006, in the Dream Live 3rd live concert, Aiba did not graduate alongside with the rest of his fellow second generation Seigaku castmates; instead, he decided to continue performing in the musicals and acted as a guide for the new third generation Seigaku cast members from 2006 to 2007. After Absolute King Rikkaidai feat. 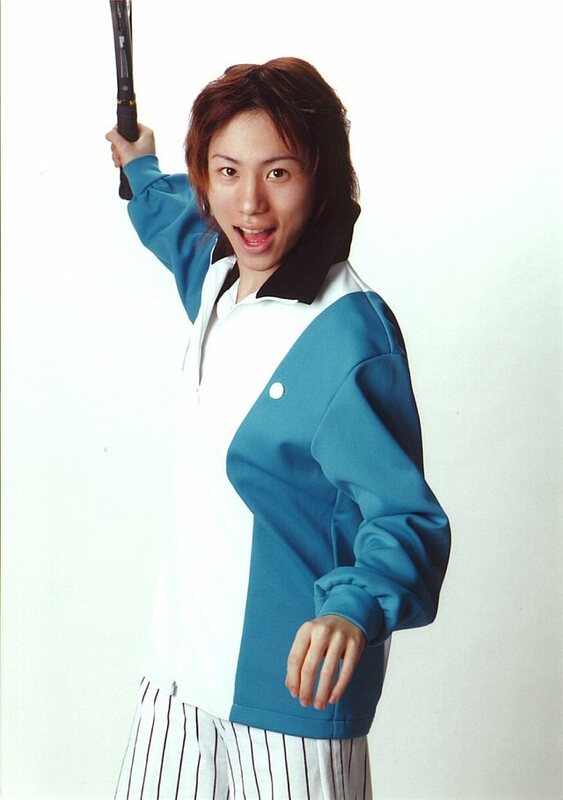 Rokkaku ~ Second Service, Aiba graduated along with the majority third Seigaku cast. He has been the longest serving actor to play Fuji. Since his graduation, the role of Fuji is currently being played by Yuuta Furukawa. On the Tenimyu website, it has been announced that both the fourth and fifth Seigaku casts will take turns performing the next two musicals; Aiba will make a brief return to reprise his role as Fuji with the fifth Seigaku cast in the Imperial Presence Hyotei Gakuen musical. After that show, Hashimoto Taito will carry on as the fifth cast's Fuji. Aiba released a Best Actor's album in 2006, for his role in the musicals as Fuji, called The Prince of Tennis Musicals Best Actor's Series 003 - Hiroki Aiba as Shusuke Fuji. Aiba was able to carry on his role from the musicals to the live-adaptation film of the manga series of The Prince of Tennis. He, along with most of the principle cast members for the Seigaku Regulars of the musical, were able to reprise their roles in the movie. The only major casting change was the casting of Kanata Hongo as Ryoma Echizen, the main protagonist. 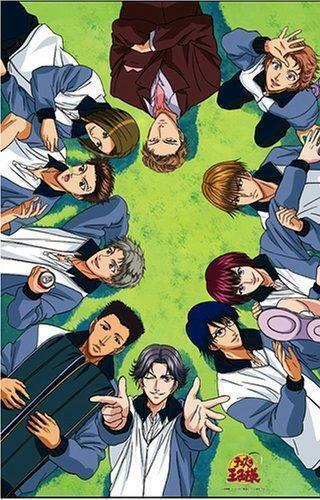 The Prince of Tennis was released on May 13th, 2006 and opened on the tenth spot in the Japanese Box Office. Osamu Adachi (足立 理, born 22 December 1987) is a Japanese actor and a member of the acting group D-BOYS. He is best known for his role as Eiji Kikumaru in The Prince of Tennis musical series, Tenimyu, and in the live film adaptation. 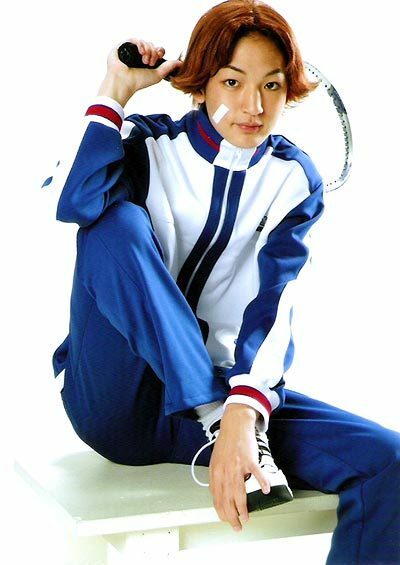 In 2005, Adachi won the role of Eiji Kikumaru, the acrobatic player of Seigaku Middle School's tennis club, in the Prince of Tennis musicals, Tenimyu. 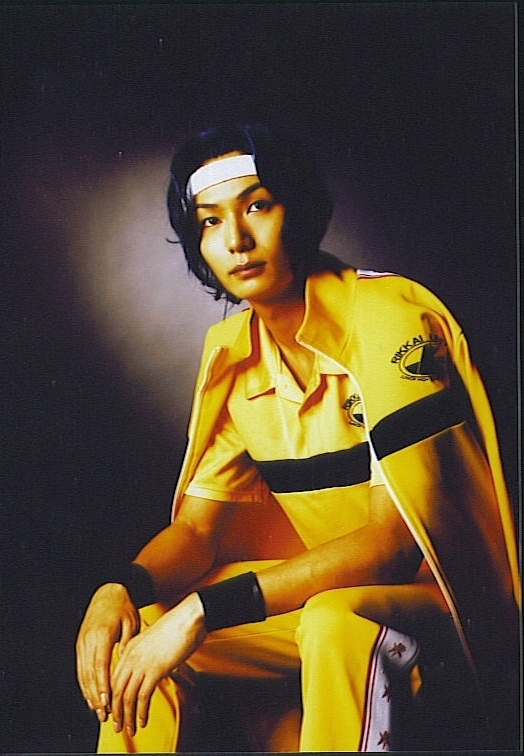 From 2005 to 2006, he became the third actor to play Kikumaru as a member of the second generation Seigaku cast. He made his debut as Kikumaru on January 8th, 2005 in the Side Yamabuki performance in Osaka. That same year, his role as Kikumaru was carried into the live adaptation film of the manga. During his run in the musicals, he was able to work with fellow D-Boys members Yuya Endo, Kotaro Yanagi, Masaki Kaji, Hiroki Suzuki, Hirofumi Araki, Masato Wada, and former member Yuu Shirota. On March 29th, 2006, in the Dream Live 3rd live concert, Adachi, along with the majority of the Seigaku cast, graduated from their roles. Since his graduation, the role of Kikumaru has been played by Koji Seto and currently by Kyousuke Hamao. Adachi was able to carry on his role from the musicals to the live-adaptation film of the manga series of The Prince of Tennis. He, along with most of the principle cast members for the Seigaku Regulars, were able to reprise their roles in the movie. 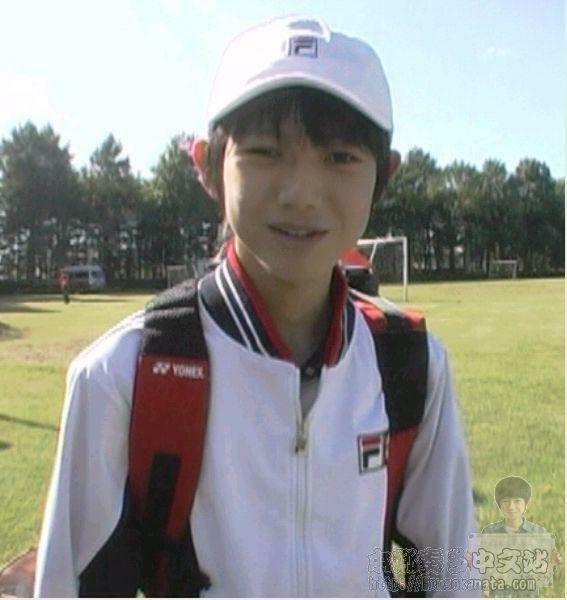 The only major casting change was the casting of Kanata Hongo as Ryoma Echizen, the main protagonist. The Prince of Tennis was released on May 13th, 2006 and opened on the tenth spot in the Japanese Box Office and marked Adachi's first appearance in the film industry. * Adachi was given only one challenge in the show "DD-BOYS," unlike the other D-BOYS, who were each given at least two. * Adachi admits to not being very athletic. He became very emotional when he could not keep up with the others during the "tennis boot camp," which was preparation for filming The Prince of Tennis. Yoshikazu Kotani (小谷 嘉) (25 March 1982 - ) is a Japanese actor and singer from Tokyo. He is known most notably for his role as Takashi Kawamura in The Prince of Tennis musical series, Tenimyu, and the live film adaptation. Kotani won the role of Takashi Kawamura, the soft-spoken, dual-personality 3rd year regular of Seigaku Middle School's tennis club, in The Prince of Tennis musicals, Tenimyu. 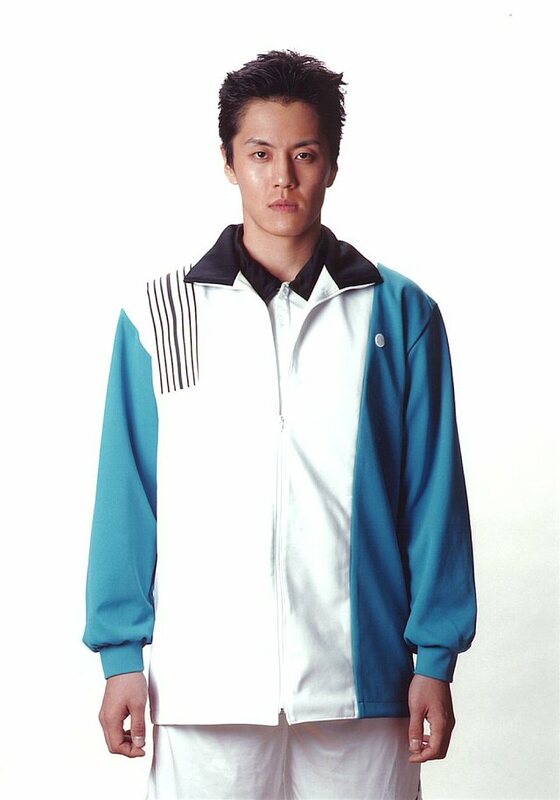 From 2005 to 2006, he became the fourth actor to play Kawamura as a member of the second generation Seigaku cast. He made his first debut as Kawamura on January 8th, 2005 in the Side Yamabuki performance in Osaka. That same year, his role as Kawamura was carried into the live adaptation film of the manga. On March 29th, 2006, in the Dream Live 3rd Live concert, Kotani, along with the majority of the Seigaku cast, graduated from their roles. Since his graduation, the role of Kawamura has been played by Kouji Watanabe and currently by Hiro Ogasawa. Kotani was able to carry on his role from the musicals to the live-adaptation film of the manga series of The Prince of Tennis. He, along with most of the principle cast members for the Seigaku Regulars, were able to reprise their roles in the movie. The only major casting change was the casting of Kanata Hongo as Ryoma Echizen, the main protagonist. Kotani's next project was filming for the made-for DVD release movie, Boys Love, which also costarred his former Tenimyu costar, Saito Takumi. In the movie, Kotani plays Mamiya Taishin, a magazine editor that meets high-school model, Kisaragi Noeru (Saito Takumi), during a magazine interview. Boys Love was released on November 24th, 2006. In 2007, Kotani again took the lead in the theatrical edition of Boys Love, which shared only a title with the 2006 movie, and featured a new story and an otherwise new cast. Kotani this time was cast in the part of Aoi Kairu, a young teacher at an all-boys boarding school, who discovers that his new student, Amakami Sora (Kanno Atsumi) is the same boy with whom he recently had a sexual encounter. The movie again costarred other former Tenimyu actors, this time Kawakubo Yuuki and, in smaller roles, Baba Tooru and Kiriyama Renn. Hirofumi Araki (荒木 宏文) (born 14 June 1983) is a Japanese actor and singer. He is known most notably for his roles as Sadaharu Inui in The Prince of Tennis (musical series Tenimyu & live film adaptation), and as The Black Lion Rio in the tokusatsu television series Jyuken Sentai Gekiranger. He is also part of a young men's stage acting troupe, D-Boys, which perform in various skit-like performances. 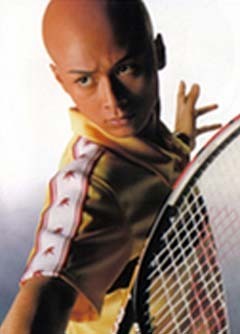 Araki's acting career took off when he won the role of Sadaharu Inui, the "data-tennis" regular of Seigaku Middle School's tennis club in the The Prince of Tennis musicals, Tenimyu. He became the second actor to play Inui, as part of the second generation Seigaku cast. He made his first debut on January 8th, 2005 in the Side Yamabuki performance in Osaka. He coninued Inui's role over the next several months in other Tenimyu incarnations, such as Dream Live 2nd, The Imperial Match Hyotei Gakuen, and Dream Live 3rd. During his run in the musicals, he was able to work with fellow D-Boys members Yuya Endo, Kotaro Yanagi, Masaki Kaji, Hiroki Suzuki, Osamu Adachi, Masato Wada, and former member Yuu Shirota. On March 29th, 2006, at the end of the final Dream Live 3rd show, he along with the majority of the Seigaku cast, graduated from their roles. Since his graduation, the role of Inui has been played by Masei Nakayama; and currently by Yuuta Takahashi. Araki was able to carry on his role from the musicals to the live-adaptation film of the manga series of The Prince of Tennis. He, along with most of the principle cast members for the Seigaku Regulars, were able to reprise their roles in the movie. The only major casting change was the casting of Kanata Hongo as Ryoma Echizen, the main protagonist. Masaki Kaji (加治 将樹) is a Japanese actor and singer. He is known most notably for his role as Takeshi Momoshiro in the Prince of Tennis musical series, Tenimyu, and the live film adaptation. He is also part of a young men's stage acting troupe, D-Boys, which perform in various skit-like performances. 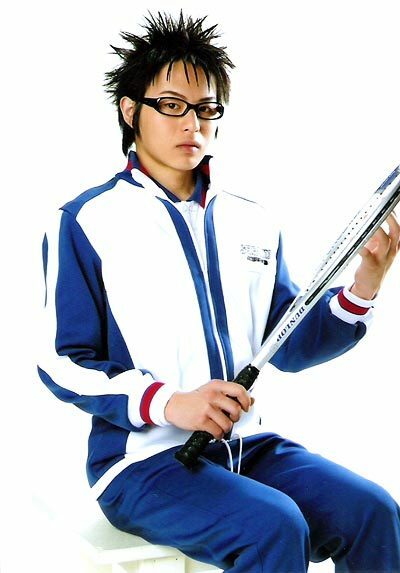 Kaji won the role of Takeshi Momoshiro, the friendly 2nd year regular of Seigaku Middle School's tennis club, in the The Prince of Tennis musical series, Tenimyu. From 2005 to 2006, he became the second actor to play Momoshiro. He made his first debut as Momoshiro on 8 January 2005 in the Side Yamabuki performance in Osaka. That same year, his role as Momoshiro was carried into the live adaptation film of the manga. During his run in the musicals, he was able to work with fellow D-Boys members Yuya Endo, Kotaro Yanagi, Hiroki Suzuki, Masato Wada, Hirofumi Araki, Osamu Adachi, and former member Yuu Shirota. On 29 March 2006, in the Dream Live 3rd live concert, he, along with the majority of the Seigaku cast, graduated from their roles. Since his graduation, the role of Momoshiro has been played by Shinpei Takagi and currently by fellow D-Boy member Tetsuya Makita. 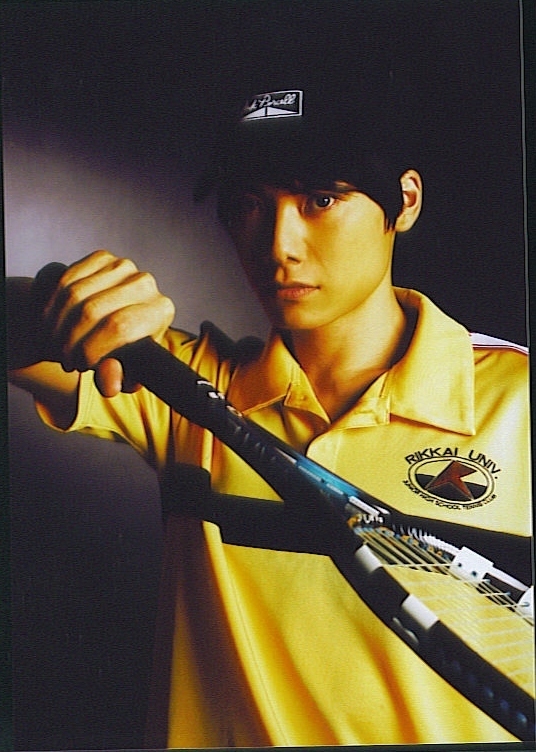 Kaji was able to carry on his role from the musicals to the live-adaptation film of the manga series of The Prince of Tennis. He, along with most of the principle cast members for the Seigaku Regulars, were able to reprise their roles in the movie. The only major casting change was the casting of Kanata Hongo as Ryoma Echizen, the main protagonist. Kousuke Kujirai (鯨井 康介) (born 20 July 1987) is a Japanese actor and singer. He is known most notably for his role as Jenath Dira in the Get Ride! Amdriver anime series and Kaoru Kaidoh and The Prince of Tennis musical series, Tenimyu, and the live film adaptation, and as Panther in Eyeshield 21. 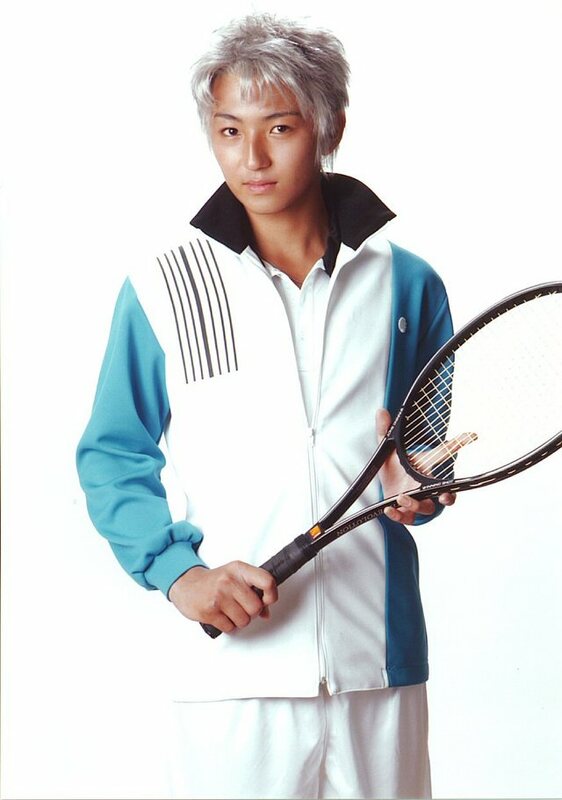 Kujirai won the role of Kaoru Kaidoh, the viper-like 2nd year regular of Seigaku Middle School's tennis club, in the Prince of Tennis musical series, Tenimyu. 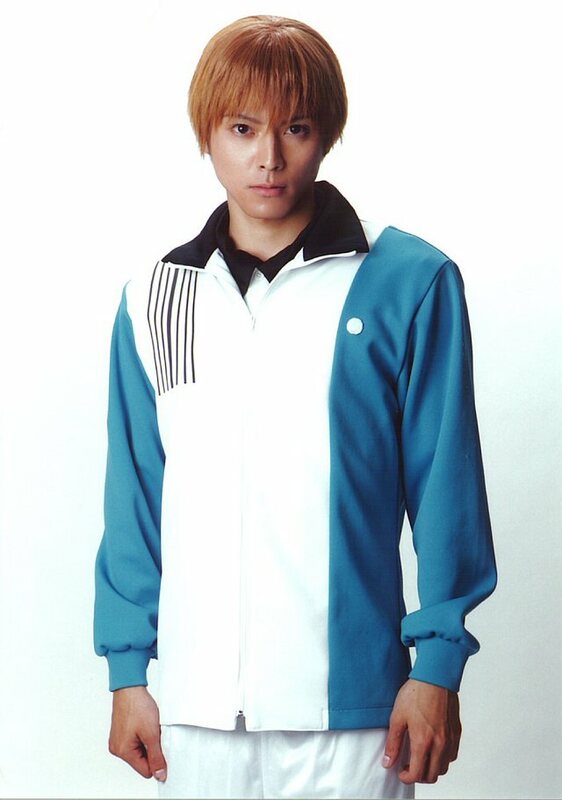 From 2005 to 2006, he became the second actor to play Kaidoh as a member of the second generation Seigaku cast. He made his first debut as Kaidoh on 8 January 2005 in the Side Yamabuki performance in Osaka. That same year, his role as Kaidoh was carried into the live adaptation film of the manga. On 29 March 2006, in the Dream Live 3rd live concert, he, along with the majority of the Seigaku cast, graduated from their roles. 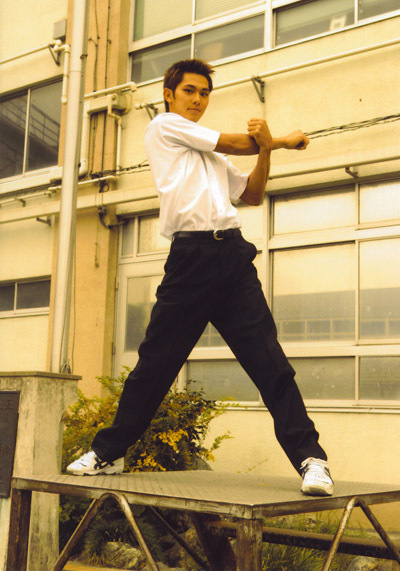 However, Kujirai returned to play Kaidoh for the slated August 2006 Advancement Match Rokkaku musical, because actor Takahiro Tasaki, who was originally slated to play Kaidoh in the Rokkaku musical, left the production to pursue other opportunities; Kujirai was brought back as Tasaki's substitute. Afterwards, the role of Kaidoh was played by Tomo Yanagishita and currently by Yuuichirou Hirata. He and Tomo have played Kaidoh the longest. Kujirai was able to carry on his role from the musicals to the live-adaptation film of the manga series of The Prince of Tennis. He, along with most of the principle cast members for the Seigaku Regulars, were able to reprise their roles in the movie. 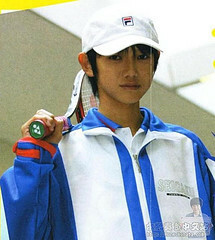 The only major casting change was the casting of Kanata Hongo as Ryoma Echizen, the main protagonist. The Prince of Tennis (テニスの王子様) is a 2006 live-action movie directed by Yuichi Abe and based on The Prince of Tennis manga series by Takeshi Konomi. It condenses the storyline from when Ryoma arrives in Japan to the Hyotei Academy arc. The film was released in Japan on 13 May 2006. Twelve-year-old Ryoma Echizen is a tennis prodigy from America who has the personal history of winning four consecutive American Junior Tennis tournaments. His father, Nanjiro Echizen, a tennis player of legendary status, calls Ryoma back to Japan to attend the distinguished Seishun Academy Middle School. Ryoma, a first year, has his eyes set on being on the regulars team of the tennis club, for which the school is famous. Then, there is the lone girl who watches Ryoma from the audience. Her name is Shioin Higaki, whose parents had died in accident. She is mute due to traumatic shock of her past. She first meets Ryoma when he helps her on the train from a loud group of high school boys. Ryoma arrives at Seigaku, and is immediately challenged by Kaoru Kaidoh, a second year team regular, known as "the Viper," whose perseverance is daunting and is known for his Buggy Whip Shot, nicknamed "Snake Shot". The members of the Seigaku regular team come watch the match. One is the vice-captain, Shuichiro Oishi, who has a calm and rational sense of playing sense, compliments the acrobatic plays of his double's partner, Eiji Kikumaru, making them the Golden Pair. Then there's third years Shusuke Fuji, a formidable player known for his tactical skill on the tennis courts, making him the "genius" of the team; Sadaharu Inui, whose tennis style relies on collecting info on his opponents' playing style called "data tennis"; and Takashi Kawamura, whose personality instantly changes when he grabs his tennis racquet. The other second year is Takeshi Momoshiro, known for his power plays. Ryoma surprises everyone by making Kaidoh's reaction slower and then pulling off the Snake Shot himself, but says it's just the Buggy Whip. Kaidoh and Ryoma's match is interrupted by Kunimitsu Tezuka, the nationally-ranked captain of the tennis club. Tezuka makes Kaidoh run laps for playing a match without an approval and begins to take an interest in Ryoma. Ryoma arrives in time for the monthly campus ranking tournament, but at first, due to his youth and his cool attitude, some club members do not take him seriously; however, during the ranking tournament, Ryoma is quick to prove his skills and become the only first year on the regular team, just in time for the prefectual preliminary rounds. While in a crucial match against Fudomine Middle School during the prefectuals, Ryoma injures his eye by accident, but his determination to finish the match with his Nitouryuu helps bring victory to Seigaku as they can advance to the Kanto Tournament as prefectual champions. Tezuka is deeply troubled by Ryoma's style; it's an exact copy of his father's. He is also worried about his own arm, which is injured and will add on injuries when using his Zero Degree Drop Shot. Tezuka plays a secret match with Echizen, and utterly defeats him using the Drop Shot, disregarding his physician's advice. He tells Ryoma to develop his own style of tennis and become the pillar of Seigaku. As the regional Kanto Tournament draws near, Seigaku learns of their first opponent, Hyotei Academy, their strongest rivals. All the regulars are chosen for the tournament except for Momoshiro, as Echizen is chosen over him. However, Echizen says he has to represent in the Youth Cup and is going back to America. Momoshiro is angry of Ryoma's choice and refuses the jersey Ryoma offers him. Egate Mcleod Higaki of Hyotei comes to the courts and tries to provoke the players until Tezuka tells him to leave. Echizen goes to the park to think about his decision, and Shioin, Egate's little sister, comes by and plays her flute. The music reaches Echizen's ears, and he makes his choice. At the Kanto Tournament, Momo still has decided not to come. Oishi and Eiji play Doubles 2. They begin a losing streak until Momo reveals himself in the cheering crowd for Seigaku. With new confidence from their returning teammate, the Golden Pair make a comeback, but lose to Hyotei 5-7. In the crowd, Kaidoh finds Echizen, who decided to stay. Kaidoh and Inui begin their Doubles 1 match. Kaidoh continually takes all the shots and uses his Boomerang Snake, while Inui stands and watches. Finally, he tells Kaidoh he has their opponents' data and they win the match 7-5. Kawamura plays Singles 3 and tries his Hadokyuu, but his big opponent copies the move. They both keep using Hadokyuu until Kawamura does the unthinkable: the dangerous one-handed Hadokyuu. His opponent copies, and both keep hitting until both of them drop their racquets, their hands and racquet handles covered in blood. The match is considered a No Game. Fuji, playing Singles 2, borrows Kawamura's racquet, and amazes his opponent with his Disappearing Serve and his Hakugei Triple Counter; he wins 6-0. 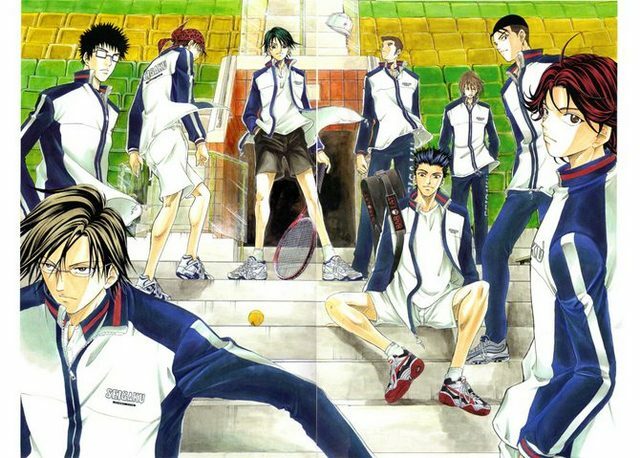 Tezuka plays Singles 1 against the popular Atobe; Echizen comes and takes his place as bench coach, and, despite some of the other Seigaku players, Tezuka allows him to rejoin the team. Atobe seems to gain the early lead, but Tezuka comes back with his Tezuka Zone and Drop Shot. Tezuka gets to match point, but as he tries to serve, his arm gives out. Tezuka continues to play as Echizen takes off his jacket, revealing his Seigaku uniform, and goes to practice. Tezuka loses in the tiebreak, 6-7. Because both teams have two wins, their reserve players will determine the winner. Echizen faces off against Egate, and wins the first game using his teammates' moves. However, as an eclipse passes over the court, Egate uses his brutal tennis form and injures Echizen's leg. Remembering his vow to become stronger, Echizen surprises everyone by using the COOL Drive attack to come back, break the eclipse, and win, and Egate's sister, Shioin, breaks her muteness and cheers for them. Tezuka rewards Echizen with his Seigaku jacket he kept for him. As Echizen looks up in the stands at their future opponents, his only reply to them is, "mada mada dane" ("simply not there yet" or "a long ways to go"). The movie was a condensed version of the manga and anime series, thus a lot of the events that happen were condensed and characters were changed. * Sumire Ryuzaki's age was changed so that instead of being a grandmother (and Nanjiro's junior middle school coach), she became a year younger than Nanjiro and became a former junior middle school student with him. She says that Nanjiro was her inspiration to play tennis. * The character of Wakashi Hiyoshi from the Hyotei school was replaced by Egate Mcleod Higaki, who was created as an original character for the movie. His sister, Shioin Higaki, is also an original character that was not in the manga/anime series, replacing Sakuno Ryuzaki. * In the film, the Seigaku uniforms have a little flap on the back of the jackets, and the blue colors are much brighter. Hyotei's light-blue uniforms are replaced with grey. Also, Echizen's shirt that he wears in the beginning is of a different design and colors. * In the movie, the Oishi/Kikumaru pair takes on the Oshitari/Mukahi pair, while originally it was the Momoshiro/Kikumaru pair who did so. Also, the results of their match and that of Inui and Kaido are reversed; in the movie, they lose and the Inui/Kaido pair win, while in the manga the opposite happened. Likewise, Fuji wins 6-0 in the movie, while the manga/anime has Jirou Akutagawa, his opponent, take one game before Fuji shuts him out. * The entire prefectural tournament, along with the matches against St. Rudolph and Yamabuki, are skipped over in the movie. * In the manga/anime, Echizen faces against Arai, another member of Seigaku's tennis club but not on the regular team, prior to becoming a regular. In the movie, Kaidoh is the first to challenge Echizen. Because of this change, when Echizen plays in the ranking matches, he faces against Momoshiro and Inui. In the manga/anime, his second match was with Inui, but the first match was with Kaidoh. * In the ranking match, Momoshiro has already developed the Jack Knife. * Just before his match with Egate, Ryoma uses a line from the anime that Fuji said to Akaya Kirihara of Rikkaidai, "A dog that doesn't bite barks the most." * Schools that appear in the movie besides Seigaku and Hyotei are Fudomine Middle School, Rokkaku Middle School, Higa-Chuu, Rikkai Daigaku Fuzoku and Shitenhōji. 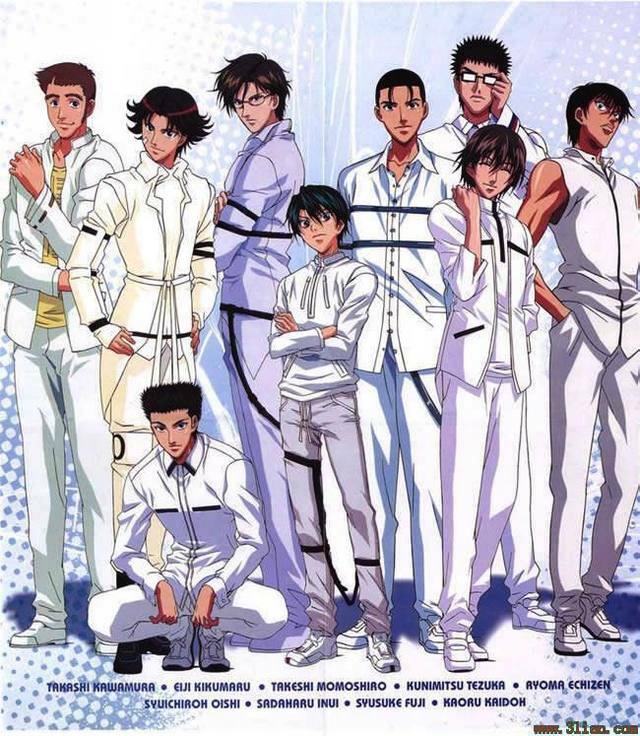 * The whole Seigaku cast is the same as the second cast from the Prince of Tennis Musicals, except Ryoma, who was recast due to Kotaro Yanagi's accident, as well as to cast an actor closer to the character's age. However, the only members of another team to reprise his role was Koji Date as Choutaro Ohtori and Shun Takagi as Masaya Sakurai. Every other role in the movie was entirely recast. For most of these actors, this film was their first major appearance in the film industry. * Many former members of the musical cast make cameo appearances in the movie, though not in the roles they played in the musicals (eg. 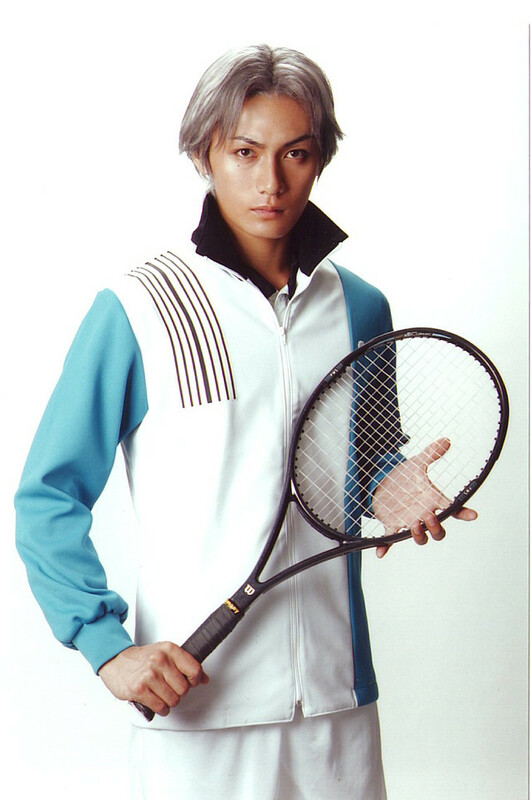 Eiji Moriyama, who played Momoshiro in the first TeniMyu cast, makes an appearance as Genichirou Sanada from Rikkai). * Many cast members were former and future actors from the super sentai series. 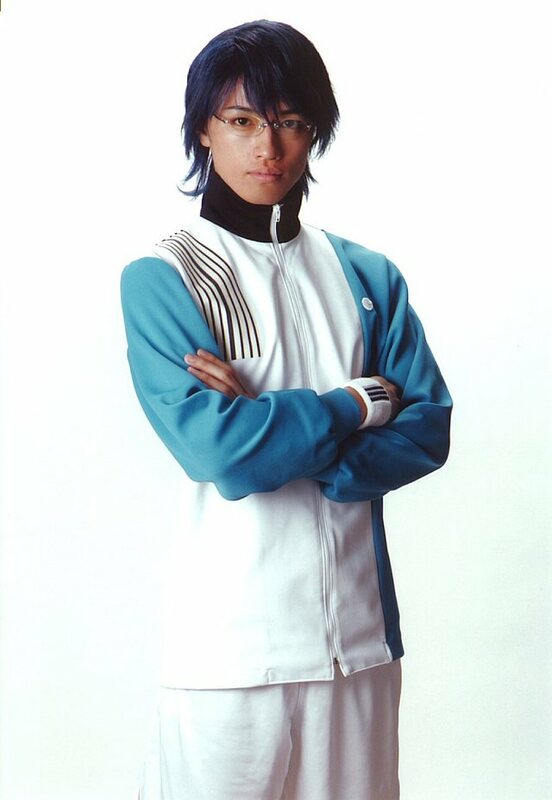 Ryuji Sainei (Keigo Atobe) played Banban Akaza/DekaRed in 2004's Dekaranger. Yasuka Saitoh (Shinji Ibu) was playing Masumi Inou/BoukenBlack from Boukenger at the time the movie was released. Hiroki Suzuki (Shuichiro Oishi) and Hirofumi Araki (Sadaharu Inui) will be playing Jan Kandou/GekiRed and Rio respectively in 2007's Gekiranger. Kanata Hongō (本郷 奏多) (born 15 November 1990) is a Japanese actor and model who has appeared several times in music videos, movies, TV series, and magazines. His major breakthrough role was as the anime character Ryoma Echizen in the film adaptation of The Prince of Tennis, and became even more widely known when he was cast as Shin in Nana 2. In television, his most notable role was as Hinata in Himitsu no Hanazono. Hongō has appeared in several movies, including Moon Child, which also starred Gackt, Hyde and Wang Lee Hom. Hongō played the role of Sho as a child, while the adult role was played by Gackt. He appeared in a movie called Hinokio which was released in July 2005 in Japan. Hongō is also the young boy in the singer Yui's music video for her song "Tomorrow's Way." 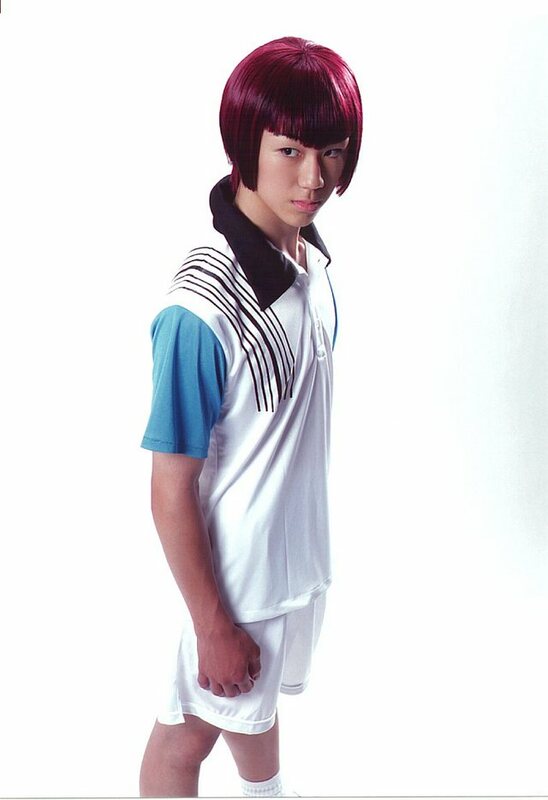 In 2006, Kanata was cast as the popular anime character Ryoma Echizen in the live-action adaptation film of The Prince of Tennis. He joined the majority of the Seigaku Regulars of the Prince of Tennis musicals as he was replacing Kotaro Yanagi, who couldn't play the role due to a car accident he was involved in. Hongō also portrayed the young bassist Shinichi Okazaki in the movie Nana 2, which was released in Japan on December 9, 2006. He had replaced Ken'ichi Matsuyama who had previously played Shin in the first Nana film. His next feature film was alongside Michael Pitt and Keira Knightley in Silk which was screened at the 2007 Cannes Film Festival. This marked Hongō's first appearance in an English language film, where he played a Japanese servant boy. He also recently starred in another music video, B'zs "Eien no Tsubasa" along with Tsubasa Honda and in GReeeeN's music video of "Namida Sora." In television, Hongō's first major role was as major supporting character Hinata in Himitsu no Hanazono and performed a wonderful tear jerking moment in one of the later episodes. His superb job in acting lead him to being another major supporting character in the drama "Seito Shokun!" as rebellious student Kohei Aoki. Later, he appeared as a guest in two other shows. He is currently starring as Riku Okamoto in Seigi no Mikata, broadcasted by NTV. directed by Takashi Yamazaki and starring Anne Suzuki and Takeshi Kaneshiro. Nana 2 Shinichi Okizaki, "Shin"
through New Line Cinema and directed by the Red Violin director, François Girard. * Concert Costarring "Gackt Live Tour 2003 The Month Of The Upper Chord"
Hyotei Academy Secondary Department (氷帝学園中等部, Hyōtei Gakuen Chūtō Bu) is a fictional escalator school in the anime and manga series The Prince of Tennis, created by Takeshi Konomi. Hyotei possesses an escalator system, meaning that provided one passes the exam at every level, students may move up the academic ladder from primary school to university. The school's headmaster is Teruzane Sakujii. According to Takeshi Konomi, Hyotei's popularity was much higher than he expected, and it was for that reason that he chose to bring them back into the story. Hyotei's strength lies in its strict stratification and merit system, which prioritizes ability only rather than emotion. This allows for the members to reach their full potential. Hyotei is considered a rival school of Seishun Academy. The two teams compete against each other in the first match of the Kantō region Tournament and in the second match of the National Tournament. With Keigo Atobe as their leader, Hyotei's tennis club is 200+ members strong. The coach, Taro Sakaki, chooses the best players of the tennis club as the regulars and the others as assistant regulars. Usually the regulars start to play in the Kantō Tournament, although after losing to Fudomine Middle School, the regulars go up against St. Rudolph for the 5th place in the Doh-Daikai. Kazuki Kato (加藤和樹, 7 October 1984–) is a Japanese actor and singer from Nagoya, Aichi Prefecture. He is known most notably for his role as Daisuke Kazama aka Kamen Rider Drake in Kamen Rider Kabuto and Keigo Atobe in The Prince of Tennis musicals. 1. "Koori no Emperor - Keigo Solo Edition"
2. "Instrumental - Inui/Kaidou vs Shishido/Ohtori"
3. "Instrumental - Kawamura vs Kabaji"
4. "Oresama no Bigi Ni Bugi Wugi"
5. "Instrumental - Tezuka vs Atobe"
6. "Do Your Best - Keigo Solo Edition"
9. "Kato Kazuki Message for you"
5. "Bokura no Mirai～4th March～(1st Live Special Ver.)" 3. "Bokura no Mirai～4th March～"
* Kato Kazuki 1st Anniversary Book BREAK! Takumi Saito (斎藤工) is a Japanese actor and model. Ruito Aoyagi (青柳 塁斗) is a Japanese actor and singer. He is best known for his role as Gakuto Mukahi in the The Prince of Tennis musicals. He is managed by Amuse, Inc.
Kenta Kamakari (鎌苅 健太, born on February 17, 1984 in Osaka Prefecture) is a Japanese actor and voice actor, famous for his role as Ryo Shishido in the Prince of Tennis Musicals. He was hospitalized on April 21, 2007 and was unable to play the role of Minami Itsuki in Musical Air Gear vs. Bacchus Super Range Remix and appear in Dream Live 4 ~Extra~. As he mentioned in his blog, as of February 2008 he is completely recovered and will start working again. Koji Date (伊達 晃二) is a Japanese actor and singer. He is known most notably for his role as Ohtori Chotarou in The Prince of Tennis movie and The Prince of Tennis musicals. His first CD namely 逆光 was released on 7 November 2007, containing 9 songs, of which all lyrics and rhythms were produced by him. Rikkai Junior High School or Rikkai Daigaku Fuzoku (私立立海大附属中学校, Rikkai Daigaku Fuzoku), usually shortened as Rikkai Dai in the Japanese versions, is a fictional school located in the Kanagawa prefecture in the manga and anime The Prince of Tennis. It is a rival school for the series' main school, Seishun Academy, and is considered to be the best team. Rikkai has won the Japanese National Tournament for the last two years, and is aiming for a third consecutive win. Ren Yagami (八神蓮, 14 December 1985–) is a Japanese actor and singer from Okazaki, Aichi Prefecture. He is known for his role as Seiichi Yukimura in the Musical The Prince of Tennis. Kentarou Kanesaki (兼崎健太郎, 2 June 1984–) is a Japanese actor and singer. He's performed as Genichirou Sanada, from The Prince of Tennis musicals. He was born in Yamaguchi Prefecture. Toru Baba (馬場徹), born on 17 June 1988 is a Japanese actor, entertainer and singer. 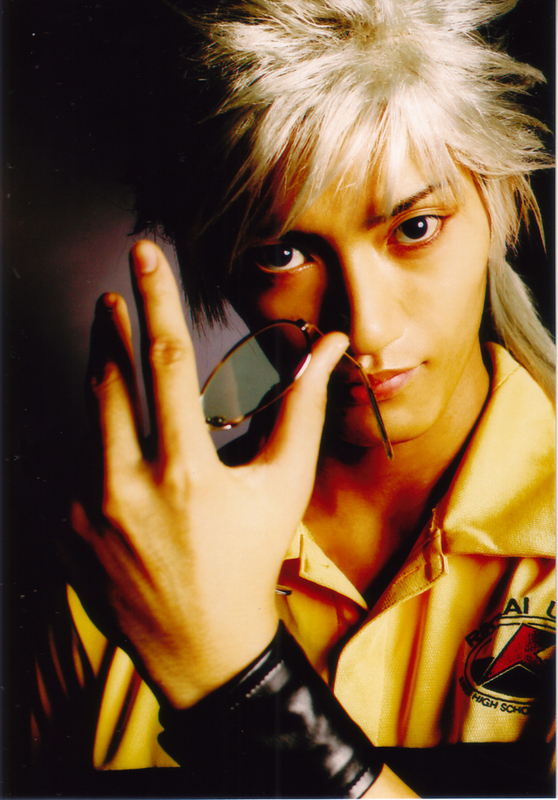 He is best known for his role as Yagyuu Hiroshi in The Prince of Tennis musicals. He is one of PureBOYS.